Chisinau - Outgoing Moldova President Vladimir Voronin was elected parliament's new speaker on Tuesday, consolidating Communist control of political power in the former Soviet republic. 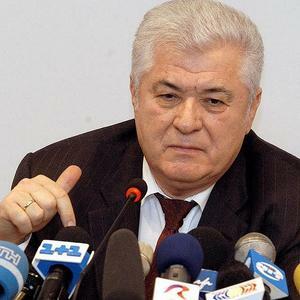 A total 60 Communist MPs supported Voronin's candidacy for the top legislative job, a comfortable majority in the 101-seat Moldovan parliament. MPs from three opposition parties holding a total 41 seats in the legislature either voted against the motion, or failed to cast ballots. Luxembourg - Moldova's President Vladimir Voronin has accepted European Union demands to begin a dialogue with opposition parties and open an investigation into post-election riots which shook his country three weeks ago, EU officials said Monday. The EU's top diplomat, Javier Solana, visited Moldova on Friday. During the visit, Voronin undertook to begin a reconciliation dialogue with opposition politicians before the first session of parliament next week, Solana's spokeswoman Cristina Gallach said. Chisinau/Moscow - A 23-year-old man who was arrested by police in anti-government protests in Moldova earlier in the week has died in hospital, according to reports Sunday. The man had been beaten in detention, leading to his death, the Interfax news agency reported, quoting the protestor's parents. Police denied knowledge of the case. Moldova's opposition meanwhile on Sunday called another large rally. Protests in the capital Chisinau against the Communist election win on Tuesday turned violent, with some 270 people injured and about 200 arrested. Chisinau/Kiev - Moldovan demonstrations against a Communist election win were muted in size and intensity on Friday, as President Vladimir Voronin called for a recount of the results. Between seven and nine hundred marchers carrying flowers had gathered in the centre of the Moldovan capital Chisinau by midday. Almost all the protestors were student age. The demonstration was, in contrast to protests of earlier days, largely silent. The flowers symbolized "peace" and "nonviolence," marchers said. Chisinau - Moldova's ruling Communist Party was firmly on track Monday to maintain control of Parliament as officials counted ballots from a weekend national election. The centre-left party headed by President Vladimir Voronin had captured 54.2 per cent of the popular vote with one-quarter of all ballots counted, according to data made public by Moldova's Central Election Commission. The preliminary official numbers were stronger than exit polls, which had predicted the Communists would receive 45-per-cent nationwide support. Chisinau - Although Moldova President Vladimir Voronin is constitutionally obliged to quit his job after Moldova's April 5 elections, few expect him to stop calling the shots in the former Soviet republic, least of all Voronin himself. Much like Vladimir Putin, Russia's former all-powerful President and current Prime Minister with little less influence, Voronin appears to be looking forwards to continued political dominance in his country. Chisinau - Moldovan President Vladimir Voronin ordered most government officials take lie detector tests as part of a national anti-corruption programme, Infotag news agency reported Wednesday. Polygraph tests would be mandatory for persons seeking employment in the police, the national intelligence agency, customs, border patrol, military, and prosecutors' offices, according to the presidential order.